Chemical engineering involves the molecular-level study, design and operation of processes that transform raw materials into useful products. 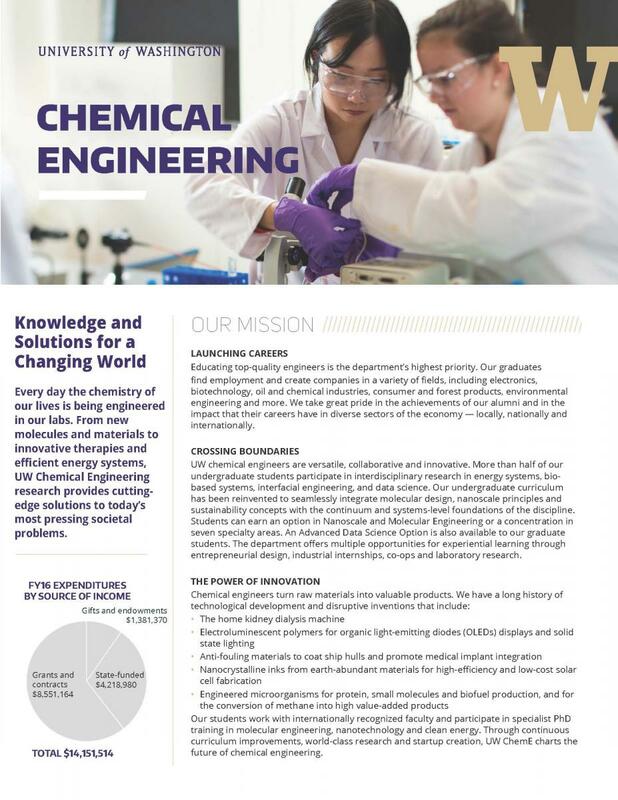 Chemical engineers work in a variety of fields, including electronics, biotechnology, clean energy, oil and chemical industries, consumer and forest product manufacturing, and environmental engineering. Their roles typically entail designing new processes, improving existing ones, reducing manufacturing costs and developing new products. Innovations made by chemical engineers are reflected in medical advances, electronic devices and high-performance materials. 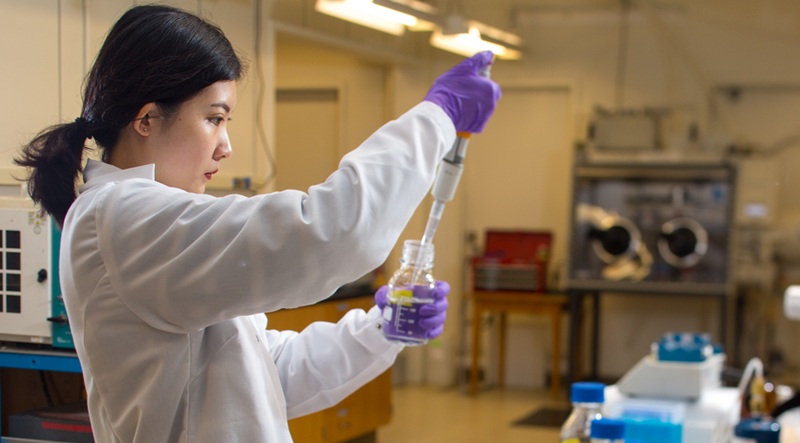 From targeted drug delivery systems to more-efficient photovoltaics to protein-guided assembly of electronics, chemical engineering produces cutting-edge solutions to today’s most pressing societal problems.